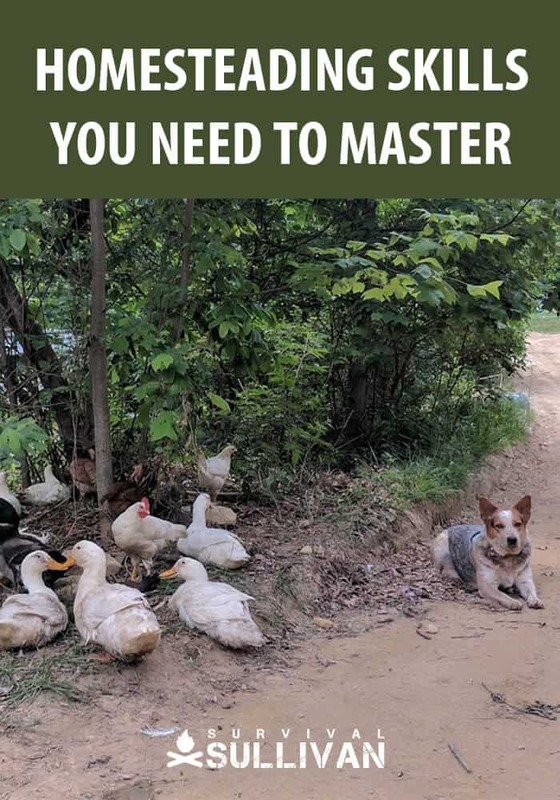 Look virtually anywhere on the internet and you will find tons of exhaustive lists of recommended homesteading and off-grid skills that you must have or must learn. It seems each author finds different skills important. Part of the confusion results from quite a bit of overlap and more than a little ambiguity about the differences between homesteading, and off-grid living. What skills should learn first? Am I completely doomed if until I learn them all? The reality is that no one could possibly write an article that would give each person one definitive list as to where to start and where to focus because every single person differs in their knowledge and skill levels, current situation and their plan for the future. This article will categorize the skills with a brief description of why they are needed. It’s designed to help you create your custom learning plan. What knowledge and skills do you have already? How do you want your living style to be different in a year? What about five, or even ten years from now? 2. On a piece of paper or in a blank computer document, create five columns and label them as 3 months, 6 months, 1 year, 5 years, and 10 years. It may help to have a goal for each time period written at the top. For example, in 3 months I want to be more prepared for emergencies. Or 6 months from now I want to have my own garden. 3. Skim our major categories first. Based on your preferences and goals, there may be some entire categories you can skip or read later. If you have an aversion to killing animals yourself for example, you can skip over the list of skills under animal processing. If you want to live off-grid and have a garden but have no interest in having or raising animals, you can skip the animal care and animal processing sections. 4. Look at each category and prioritize the skills you feel you will need to learn in the next 3 months, 6 months, 1 year, etc. based on your current knowledge and future goals. Write them in the appropriate column. If you’re not sure whether to include a skill, try to related it to your goals or just list it last in that section. You can always decide later whether to actually pursue it or not. 5. When you finish, you’ll have a customized learning plan to get where you want to go. Focus on learning the skills you listed under the 3-month column first and when you’ve mastered those, move on to the next column. Building a temporary or permanent shelter is a crucial skill to have as well. Animals on the homestead need shelter from the elements. Although you may start out with a sturdy barn, you may find that your animals need some kind of temporary or even a permanent shelter out in the pasture. How to make your own oilcloth. This is a water resistant cloth, similar to canvas, that can be used for building a temporary shelter, temporarily protecting equipment that can’t be put away from rain, etc. The ability to keep yourself warm and dry and to cook over a fire is a key skill for any homesteader. On a homestead, there may be times when you are caught way out in the field, or woods perhaps with a sick or injured animal. You should know how to keep yourself and the animal dry and warm. Outdoor cooking, especially in warmer climates where cooking indoors is too hot. The average person can survive only 3 days without water. Normal water sources may be unavailable or become tainted in a power outage, natural disaster, or SHTF scenario. The ability to collect, filter, purify and store water for drinking and cooking is a vital survival skill. The ability to develop and maintain a reliable long-term source of water is important for both homesteading and off-grid living. The term off-grid typically refers to a lifestyle that allows the homeowner to be disconnected from the traditional public utility grid. In many cases, power is provided, partially or completely via a renewable power source. This can be in the form of a gas powered generator for some, but many off-grid and even homesteaders prefer to get all power from renewable sources such as solar panels, wind turbines, or even hydro power. Renewable power sources greatly reduce and even eliminate a monthly utility bill and are better for the environment. How solar power works, what equipment is needed, and how it benefits your home. How wind turbines work and what is required for it to work at your homestead or off-grid home. Learn the differences between alternating current and direct current appliances. How to estimate current electricity use and plan for an alternative power system. Understand the differences between thin film, monocrystalline and polycrystalline silicon solar cell panels. How to choose the best type of solar panel power system for your homestead or off-grid home. How to install and maintain a solar panel power system. How to install and maintain a wind turbine system. How to install and maintain a hydro-power system. These are important skills to have in any situation where you may have to survive temporarily or even long-term by “living off the land”. Learn these skills to gather supplies, food, and medicine that you can use to reduce what you have to buy. Not everyone will take the time, but if you do, you can barter what you collect or make to gain other items you need but don’t have. Medicinal plant use may save your life. 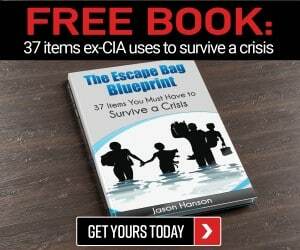 In today’s society we have become so used to technology that many of us will be at a complete loss as to what to do in an emergency when computers and cell phone towers go down. The normal way we receive weather and information updates may be gone. Your family will need you to take the lead and know what to do. Your neighbors may look to you to help them protect their families. Unless you have an alternate means of communication, there will be no way to call for help or get updates on the danger so you can act wisely to protect your family. In a home invasion situation, you may need to communicate with your family without attracting attention. You could be trapped beneath a house or building that caved in during an earthquake and unable to call out loudly. Cooking skills for survival, homesteading, or off-grid living situations should not be underestimated. Our modern kitchens are equipped with temperature controlled stoves and ovens and timers. Knowing how to cook tasty and delicious food can boost morale during a SHTF scenario or even after a hard day of working the homestead. Feel free to add to and customize our examples to suit your family. Make basic yeast dough for loaves, pretzels, rolls, etc. Having animals on your homestead or in your off-grid living situation can pay big dividends by providing food to supplement your garden and stockpiles. Animals can also help with farm labor, and help to manage pasture and dense growth. But animals require careful attention and very hard work. Experts recommend you add animals a few at a time and master their care before adding others. How to humanely castrate an animal. Regardless of your garden size and whether or not you have animals, there are always going to be some basic farm management skills you need to master. In fact, managing your farm with proper recordkeeping and planning can be key to its success. How to manage insects and pests. How to protect livestock from predators. One of the things about homesteading and even off-grid living that many people overlook is the amount of daily work and upkeep that can be needed to create and maintain the lifestyle you want. 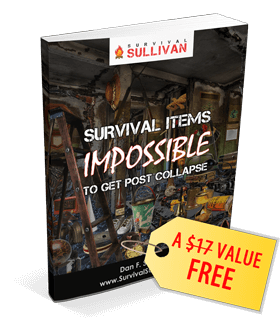 In a survival, homestead, farm, or off-grid living situation, things are going to wear out, break down, or need maintained. Here are some of the more common skills you may need to learn before you need them. Skills with tools, weapons, and security are crucial in any environment. Nothing is more crucial than knowing your family and home are secure. Even if you aren’t ready to make your own tools or weapons, you need to know how to properly use, maintain, and store them. Knowing how to make your own tools and weapons is crucial in any situation where new tools are not readily available. One of the most important skills in any scenario is food preservation and storage. There are many, many ways to preserve your food for long-term storage. Which skills you learn and how you store your food will depend largely on your personal preferences. How prepared do you want to be to feed your family over the long-term if grocery store food is not available? Gardening skills have great benefits for any living situation. First and foremost, growing your own food enables you to eat foods that are more naturally grown if you want to do so. You know what’s in your food because you grew it, picked it, washed and cooked it yourself. It can help you cut grocery expenses. It’s very relaxing for most and can be a source of pride and accomplishment. 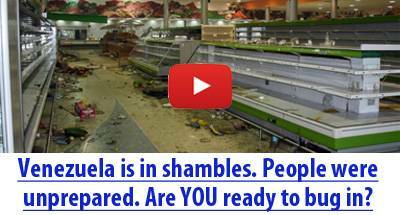 Most importantly, you will have food readily available to you and your family in case of a SHTF scenario. There is a method of gardening that can suit just about any lifestyle. Vertical and container gardening work great for small spaces. Straw bale and lasagna gardening work well in places where soil may not be ideal. Aquaponics is a truly great way of gardening for those looking at off-grid living. Forest floor or camouflage gardens are great when you need to conceal your garden from sight. Basic first-aid and CPR skills are basic survival skills for everyone. The further you are from a hospital, the more important it is to know more advanced medical skills. For those living in remote areas or in a SHTF situation, where medicines are not readily available, alternative medicines such as medicinal herbs and plants or essential oils will be more crucial. The more you know and practice in this area, the better. While most homesteaders and those living off-grid understand the reasoning behind killing and eating animals for food, some people prefer not to kill and process themselves. If you are interested and able to butcher and process your own animals for food however, you can supplement your food supply and gain valuable components (hides, wool, gelatin, bones, sinew) to use for all kinds of things you need. 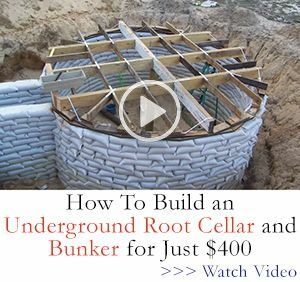 There are so many things you will need on a homestead or in an off-grid situation that the more you know how to make yourself, the better protected you will be. Definitely learn how to make rope from alternative materials, to make your own candles, and to do simple repairs to clothing as those are basic survival skills. Other skills you learn in this area will depend on your situation and interests. Money management skills will benefit just about everyone, regardless of their lifestyle. Homesteading requires significant investments in seed, equipment, animals, etc. and may never become “profitable”. Off-grid living using alternative power methods such as solar, wind, or hydro will also require equipment. Start off as close to debt free as you can and to know how to barter for anything you may not be able to afford. Sanitation is crucial in any living situation. Poor sanitation practices can lead to infection, other illnesses and can attract rodents. For homesteaders and those living off-grid, the desire is often for more natural ways that use less chemicals or less non-renewable resources (fossil fuel based electricity). If you followed the steps in the beginning of this article and you’ve gone through the entire list of skills, you now have your own customized learning plan. Start learning the skills you listed under the 3-months column, then move on from there. Be flexible with your plan and add new skills as you come across them or become interested in them. With a little time and some hard work, you’ll be living your dream homestead or off-grid lifestyle! Thank you for providing a coherent view of skills development. I’ve pulled off a lot of articles but this is one of the better ones. This article is fully actionable and my son and I will be working through this and tailoring to our circumstances and objectives. An additional thought for someone with a group is to be able to assign primary responsibility for tasks or groups of tasks so no single person is overloaded and so that the team can build real expertise in the assigned domain.